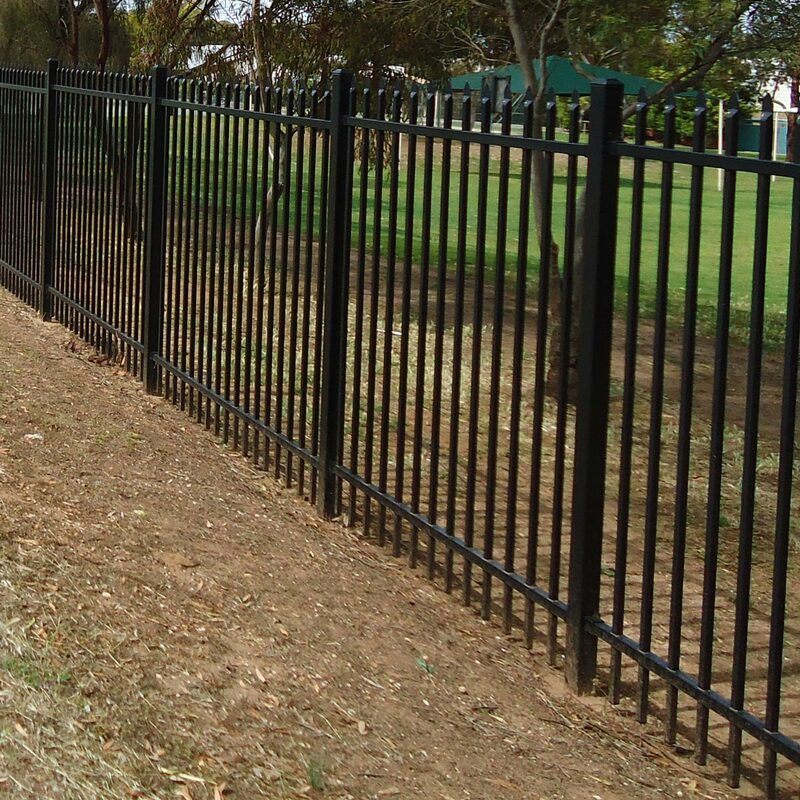 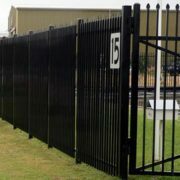 Garrison Steel Picket Fencing: Secure and Affordable Fencing. 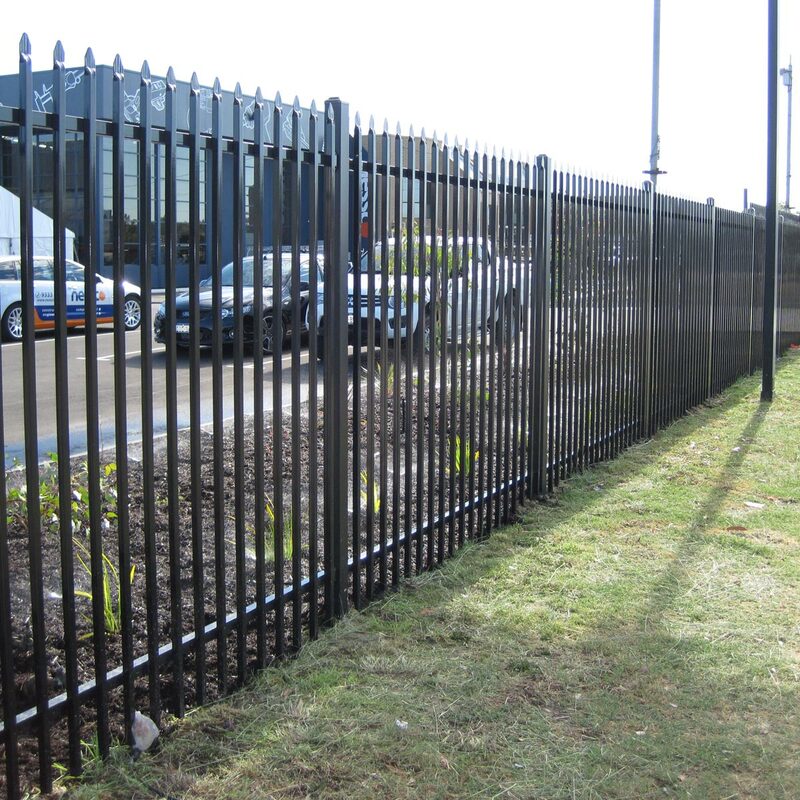 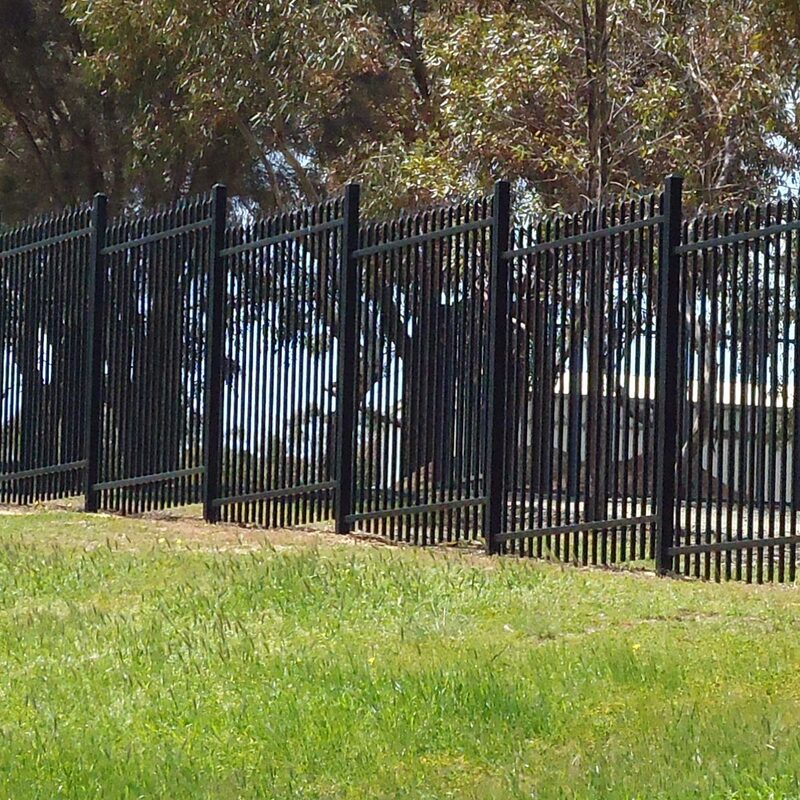 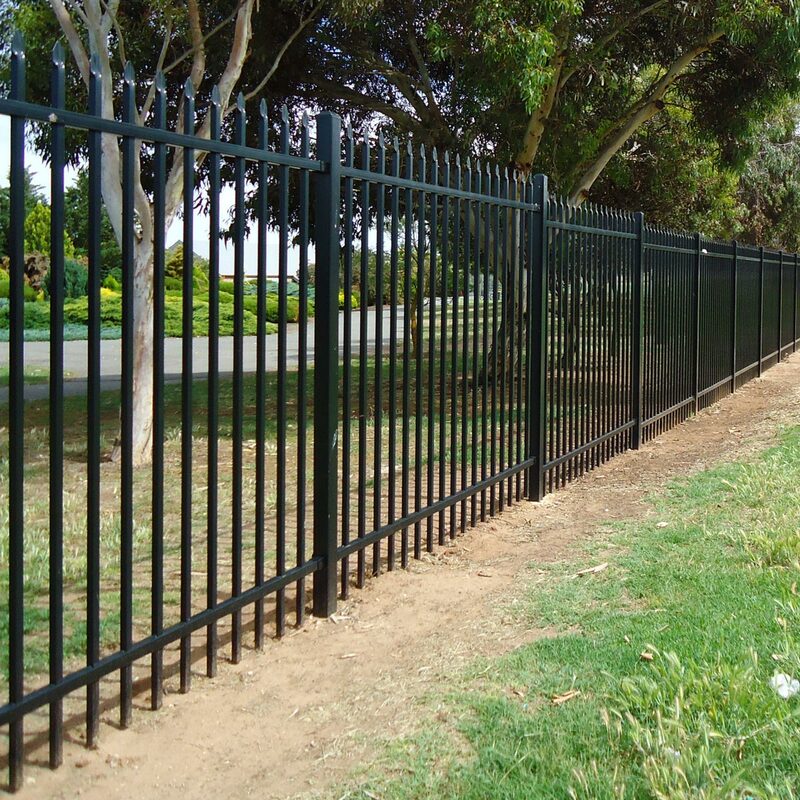 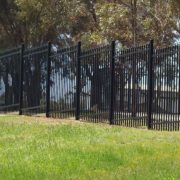 Steel picket fencing (also known as Garrison fence) is one of our most popular fencing options particularly for commercial applications as it provides a high level of security at an affordable price. 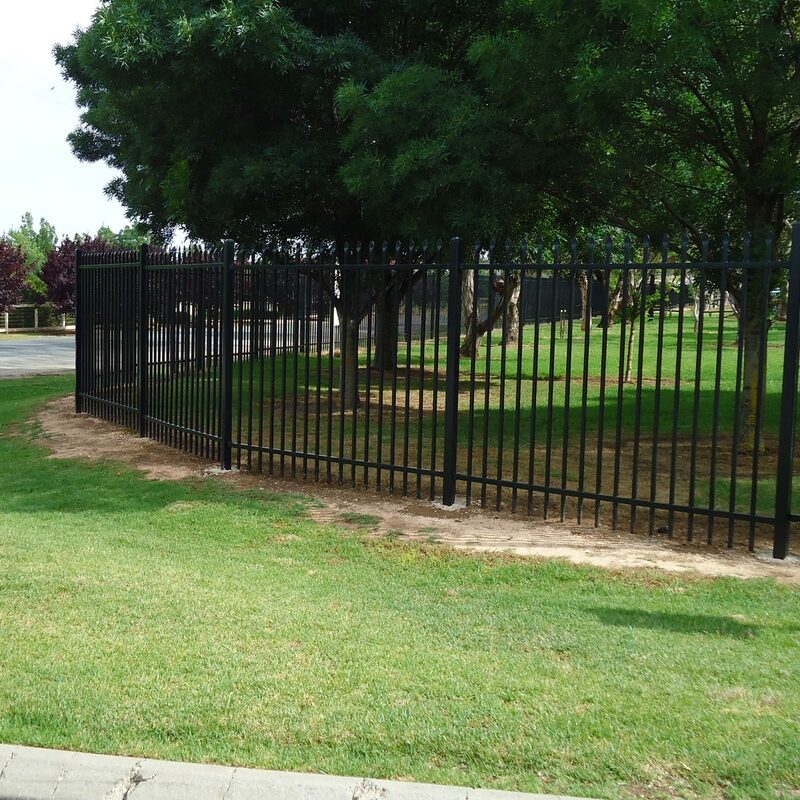 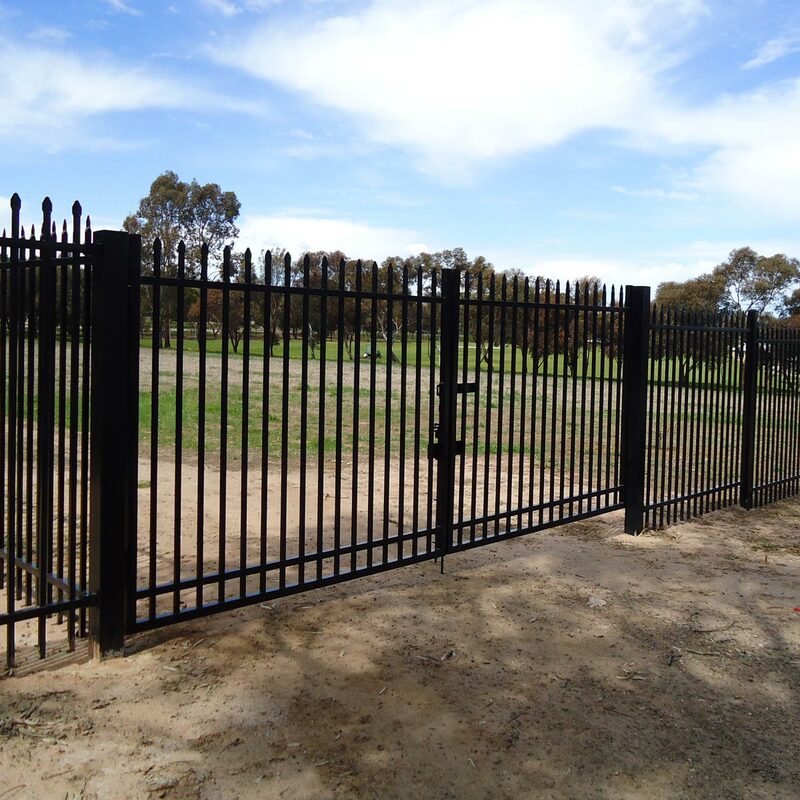 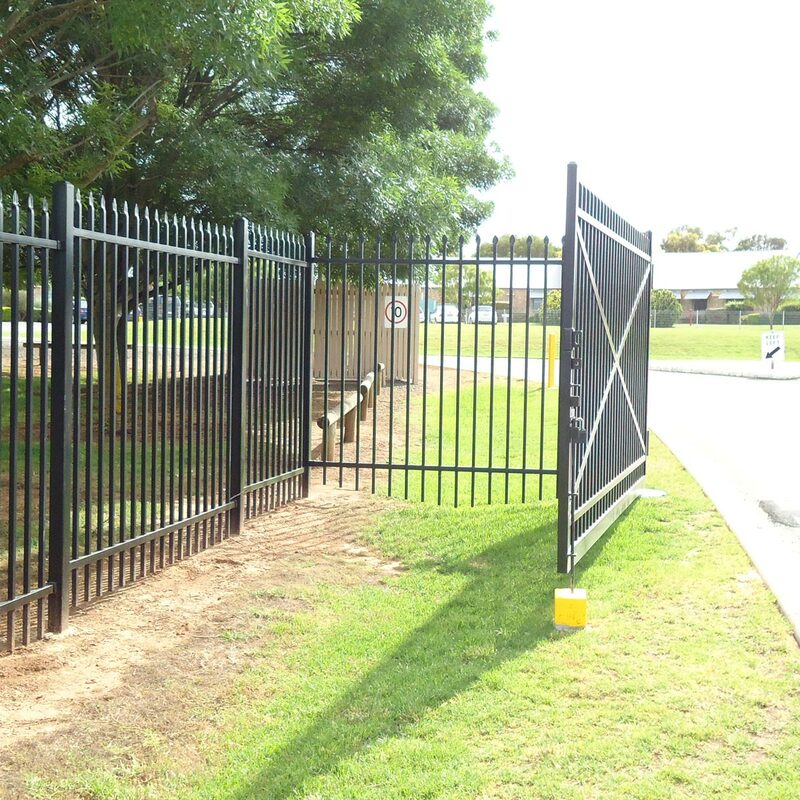 Whether your need is for a commercial property, park, or school, our products offer maximum security, while also providing a lot of cost savings. 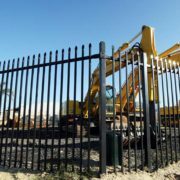 They are 2100mm tall and made of steel tube. 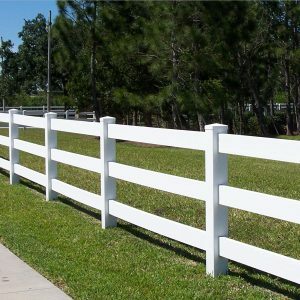 As these are Garrison style, they have pressed pointed tips. 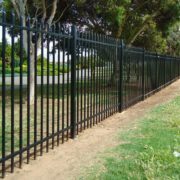 They give unique feature and also act as a deterrent as they would be incredibly difficult for any intruder to try to climb and enter your premises. 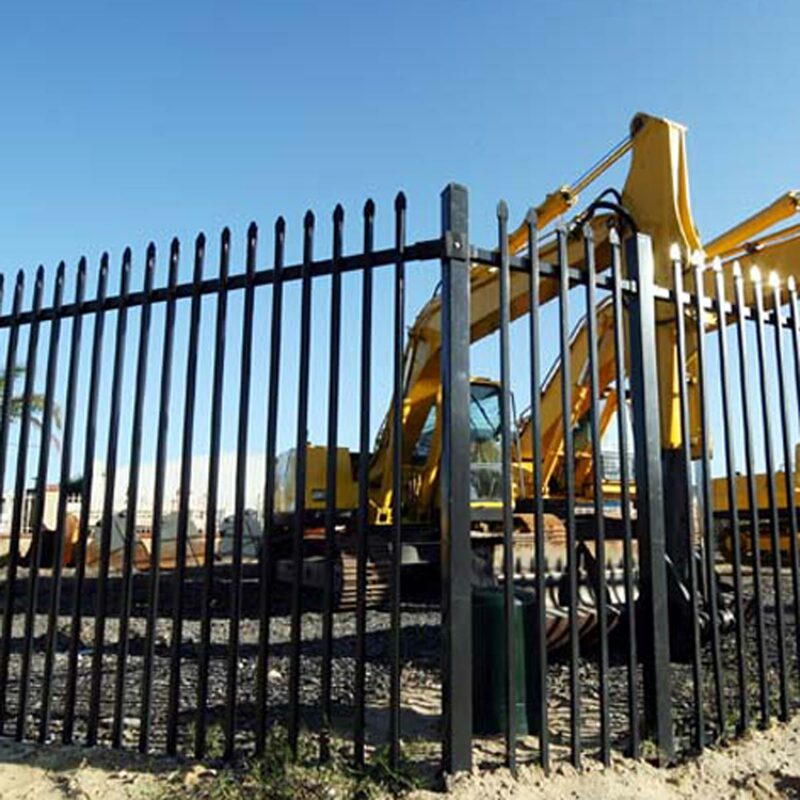 Keeping property secured is crucial to prevent damage to your property, robbery and unauthorised access. 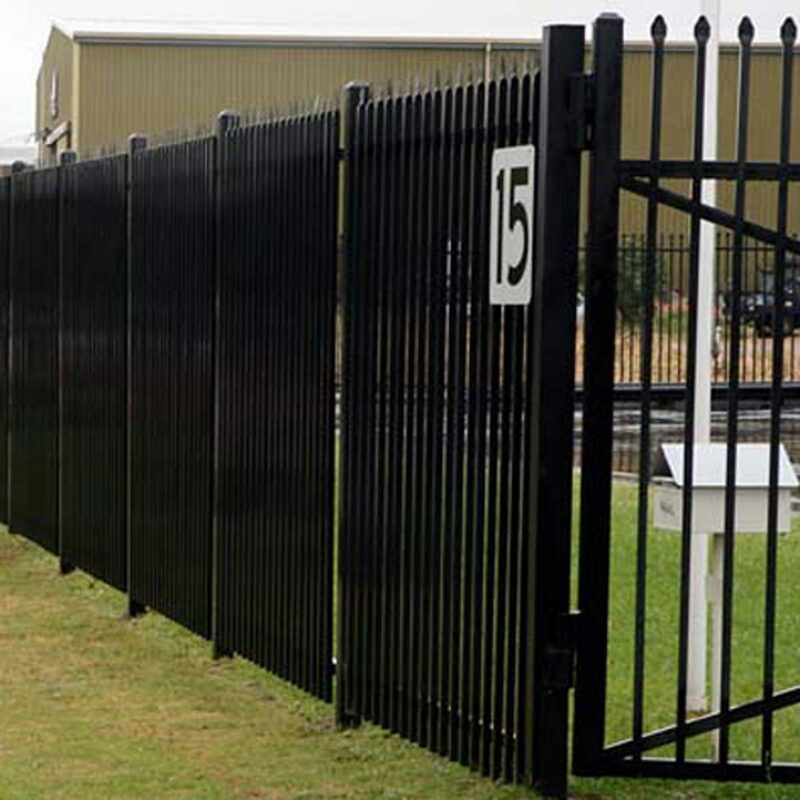 So why not keep your employees, customers, products, and information safe with our trustworthy products. 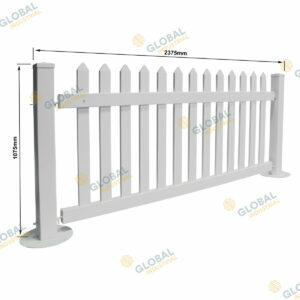 Global can accommodate your unique needs by providing a wide range of configurations. 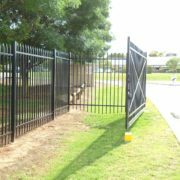 The customers can order them in a variety of different sizes, making them perfect for securing premises of any shape and size. 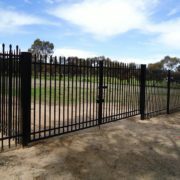 We also offer swinging, manual sliding, and electric sliding gates. 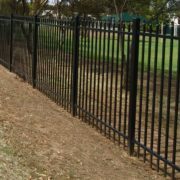 This product range is made of pre-galvanised steel which is silicone bronze welded and then powder coated. The treatment of the steel and Silicone bronze welding gives it an extended life period and gives a high level of rust protection. Additionally, it requires low maintenance and upkeep.